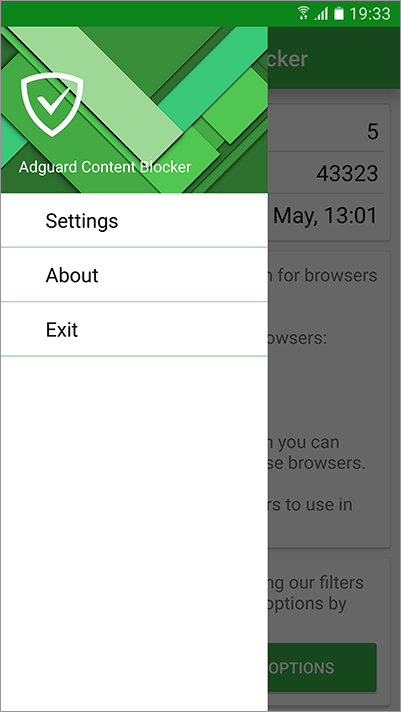 Few more words about Adguard Content Blocker: it doesn’t require you to root your device, so don’t worry. The only thing you need to use it is literally one of the browsers that support content blocking. It is even open source and can be found on GitHub. Important! By this moment the extension will only work in Alpha and Beta versions of Yandex Browser, not its release version. You might have to restart the browser to make it active. Using Adguard Content Blocker is simple. You can download it from Google Play (it is better to open the link through Google Play rather than browser), or from Galaxy Apps store. 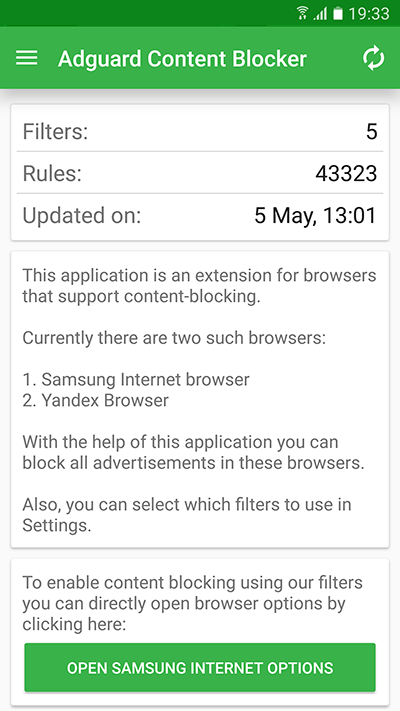 Once installed, to add the extension to Yandex Browser or Samsung Internet, just tap on the respective button in the bottom of apps main window. In the opened browser settings menu select ‘Adguard Content Blocker’. Now all that left is to choose preferrable filters in apps settings, and everything is ready for work. If you are interested enough to become a beta tester, welcome! Share your thoughts and suggestions either on GitHub or our forum.